The Seal Group is the leader in the home improvement industry, providing the highest quality Roof Restoration and Re-Roofing, Decorative Concrete Resurfacing, Roller Shutters, Zipscreen Blinds and Heat Reflective Roof Coatings. With over 30 years experience in this Industry, we take great pride in our products and workmanship, providing you with quality works that will increase the value of your property and give you peace of mind for many years to come. With over 15,000 happy customers Australia wide, Roof Seal’s ® proven restoration process can help add years to the lifespan of your roof. Not only are our services proven, but we guarantee them to last with a seven-year guarantee on all of our products and services. Roof Seal® utilises a high-tech membrane sealant to protect your roof from extreme weather. Our roofing experts repair leaks, cracks and roof discolouration with our patented Ellemex coating – an in-house, custom developed coating which is UV resistant and can help decrease the temperature inside. Ask one of our professionals for a demonstration on the ingenuity of our Ellemex coating. Don’t let minor roof issues turn into major restoration or replacement projects. Your roof is one of the most important elements of your home, and it should be serviced by only experienced and qualified roofing specialists. Roof Seal® understands that there is a real difference between roofing a new house and re-roofing an existing home. Roof Seal® offer this experience in product, licensed trades and colour selection. Most home’s guttering and downpipes are ignored until there is a serious problem that arises resulting in problems with drainage and run-off. With Home Seal roller shutters your choices are many and varied. 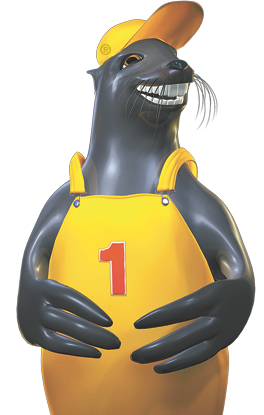 When quality is a concern call us at Home Seal. Home Seal roller shutters will achieve everything you want and more. Along with the great range of colours, there are those sensible options that are right for you. For clients that favour privacy, and look to enjoy their outdoor area all year round, the Zipscreen System is the perfect solution. It’s a low maintenance and highly durable product. Specially designed for alfresco entertaining areas such as pergolas, verandas and balconies, it offers privacy and protection from the sun, wind, rain and insects all year round.